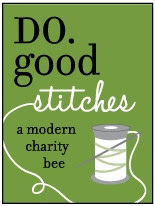 Sometimes (ok, a lot of times) between other more involved projects it's nice to do something quick and fun. This little baby quilt with its row of decorative prairie points was just the ticket. 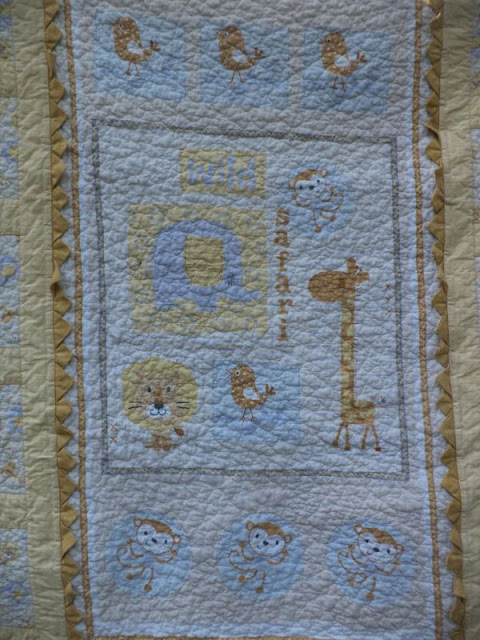 The entire center of the quilt is a panel, pulled from the remnants bin at Hancocks. Somehow I also ended up with 2 coordinating prints, so I sewed them all together into a quick top one afternoon. The prairie points were a new-to-me skill from this tutorial here. It proved to be next to impossible to get a good picture of the finished quilt due to the light colors. The colors in this are more saturated than they show in the pictures, but the palette is still quite muted. Quilting was a quick stipple in the panel and side blocks, leaving the sashing unquilted. After a wash and dry the points come out with a little bit of a bed head, but lay flat after a quick press with an iron. I actually kind of prefer the wrinkled points. The remind me of sunflowers for some reason. 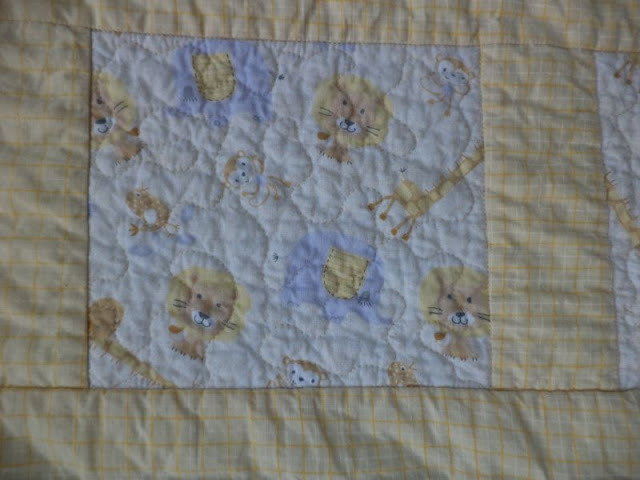 The quilt measures 40" square, a generous size for a baby quilt. 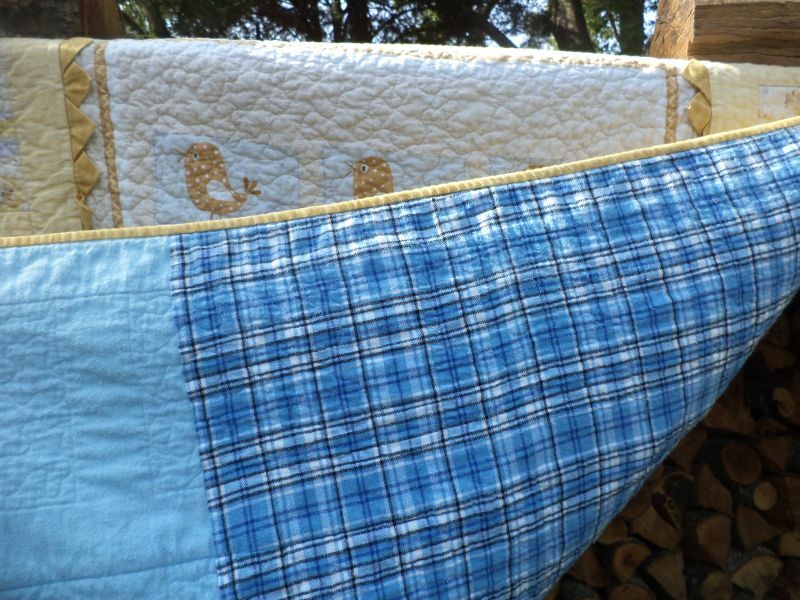 Backing is a super soft blue flannel; I decided to go with something brighter for the backing since the colors on the front are so soft. Linking to Finish it Friday at Crazy Mom Quilts. Beautifully done, Kat. 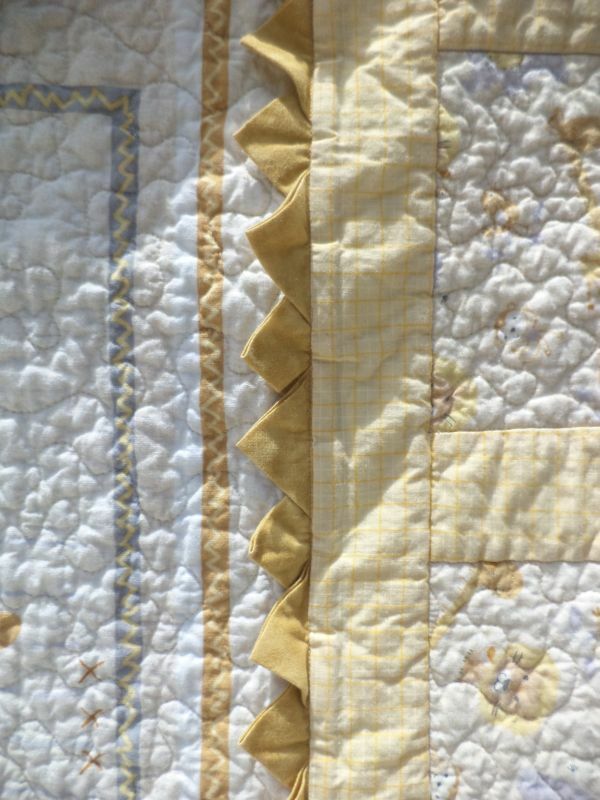 I really like the prairie points a little wrinkly too - will give baby something to play with! Very very cute - I love the muted colour scheme! 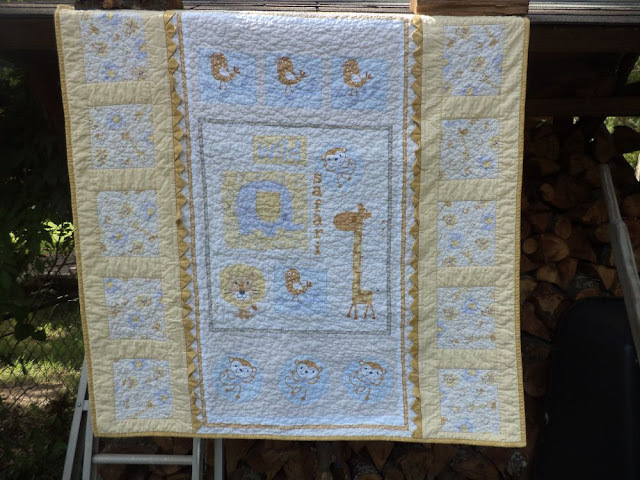 A really cute baby quilt! So delicate and calm.The wrinkly prairie points add just the necessary touch of joy! Lucky little owner! Oh it's so cute and I love the prairie points, they do look like petals don't they!